Edmund was born in Callan, a small market town in County Kilkenny on 1st June 1762. He was one of nine children – seven brothers and two step-sisters from his mother’s first marriage. Robert Rice, his father, was a tenant farmer who leased property owned by the Protestant land owner, Lord Desart and from John Butler, the Protestant Duke of Ormonde who resided in Kilkenny Castle. The large farm was very productive and the family was comfortably off. Edmund had a somewhat privileged background and attended a local “hedge” school and for one year as a 16 year old he boarded at a business academy in Kilkenny. He was lucky to have even this incomplete education. Many Catholic children from poor homes had little or no education as the Penal Laws operating in Ireland from the late 17th Century forbade Catholic schools. Rice next joined his uncle’s merchant business in 1779 in Waterford, Ireland’s oldest city and one of its major ports. The Penal Laws enacted in 1695 prohibited a Catholic from voting, holding public office, owning a weapon or owing a horse of value more than five pounds. No Catholic was allowed to practise as a lawyer, doctor or professional person. But they could be merchants. The only real power among the Catholic population in Ireland in the late eighteenth century was with the merchants. Some of them abused this power by charging exorbitant interest rates through money lending and became extremely wealthy. Merchants could afford to become large property owners and Rice was one of them once the laws were relaxed to allow this. Having displayed business acumen, legal expertise, practical common sense, and a capacity for hard work, Edmund eventually inherited and successfully expanded his uncle’s business which supplied food and materials for trading vessels. He became an influential and highly respected citizen of his adopted city – a man of means who moved easily among the social elite. In 1787 he married Mary Elliot, the daughter of a Waterford businessman. Very little is known about her. He had only been married for two years when his pregnant wife was injured in a riding accident and died giving birth to a daughter. This tragedy had a deep effect on him and left him depressed and questioning what he should do with his life. Rice continued to run a successful business as well as being active in community affairs. In 1794, when Waterford was experiencing a famine, he co-founded a charity to assist the poor, who “lived alone, forgotten even by their neighbours, in dire poverty but unwilling to seek from the public any assistance for the amelioration of their lonely and wretched condition.” He also visited the local prison helping inmates where he could by even paying off their depts. It was after Mary, his teenage daughter, went to live with his brother’s family that he considered joining a monastery. Instead, after prompting from friends, he looked at what could be done for the many poor boys who roamed the streets of Waterford with nothing to do but get into mischief. A series of famines had brought destitute families to cities such as Waterford but there was little or no work for them. While those Catholic families with some money could send their children to the illegal hedge schools – typically a room in a house – those families without money had mostly no way of having their children schooled. There were two philosophies in vogue regarding educating the poor. One approach was to do nothing, considering it to be a waste of time with the belief that “each man should be content in his station, because it is necessary that some should be above others in this world.” The other approach was to offer a limited form of education in order to teach the poor their duties and responsibilities towards society and to respect the law. Both approaches were essentially about the lower classes staying in their position in society and ensuring the social elites maintained and enhanced their power. Rice believed he could make a contribution by establishing a school for these young people roaming the streets. He was further encouraged by what Nano Nagle, the head of the Presentation Order of Sisters, had done in establishing a school for girls in Waterford. In 1802 Rice and two helpers opened a school for boys in a disused stable in New Street, a gentrified part of Waterford. It started out with six pupils but quickly grew. Rice may not have had a teaching background but he had a very different view of the role of education of the poor. The next 42 years would mean to a new life for him, his followers and his pupils. In 1804 the first permanent school, Mount Sion in Waterford, was opened together with a house for teachers. In 1808, the seven staff members took religious vows and became known as Presentation Brothers and in 1820 the order of the Congregation of Christian Brothers was officially recognised as a teaching order by the Vatican. The Mount Sion school was so successful that he was asked to open schools throughout Ireland and ultimately throughout the world. Ignatius Rice died in Waterford on 29th August 1844 aged 82 years. He was beatified by Pope John Paul II at a ceremony in St. Peter’s Square, Rome, on 6th October 1996. 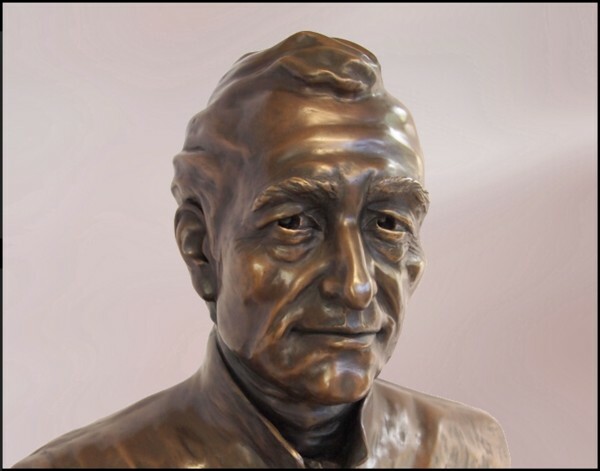 He then became known as Blessed Edmund Ignatius Rice. a venerable, a good, and in the best sense of the word, a great man — a man of powerful mind, of vast knowledge of human nature, of a comprehensive grasp of intellect, of undaunted courage, of irresistible perseverance, of unbending integrity, of pure piety, of immense charity — Edmund Rice, the Founder of the Christian Schools — the herald of a new age to Irishmen in the way of instruction, the harbinger of virtue and of blessings, the benefactor of his species, not only in Ireland but in whatever quarter of the globe the present generation of humbler classes of our fellow-countrymen have penetrated, because to Mr Rice is mainly attributed the credit of whatever intellectual training they enjoyed. So far this shows in broad outline what he achieved. But not so obvious is his entrepreneurship. When we examine the contribution of Edmund Rice we come to realise what a remarkable man he was. He was a person who we would describe today as a social entrepreneur – that is, someone who establishes an enterprise with the aim of solving social problems or effecting social change. Business entrepreneurs have the ability to see and seize upon new opportunities, have the commitment and drive required to pursue them, and a willingness to accept the inherent risks of obtaining a financial gain. In his business life Rice was a successful entrepreneur, as some researchers and writers have acknowledged. The challenge for an aspiring social reformer is how to go about achieving social transformation. The Can-Do Wisdom Framework is one way to describe the process. 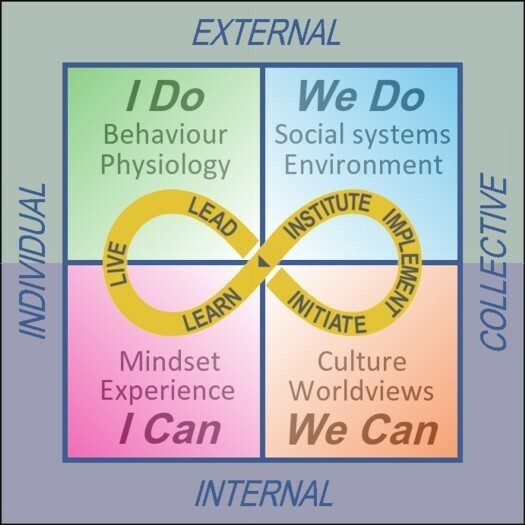 The Can-Do Wisdom Framework shown above traces the transformation path taken by a social entrepreneur: Learn, Live, Lead, Initiate, Implement and Institute, weaving the way through the I Can and I Do quadrants as an individual and on to the We Can and We Do quadrants as a collective. This phase involves an individual observing from the I Can quadrant an existing social system and an environment in the We Do quadrant that “causes the neglect, marginalization, or suffering of a segment of humanity.” In the I Can quadrant, the social entrepreneur reflects on this state of affairs and creates a vision of what the social system should be and how it could be implemented. In Ireland at that time there were issues with the existing social systems and the environment. Ireland was an unjust place where a minority of Protestants had all the power and privilege over an oppressed and often starving majority of the population. The Penal Laws severely limited the career prospects of Catholics so that, coupled with famines, there was endless hunger, injustice, misery, depravity, and despair. The Catholic population was four million and growing which exacerbated the situation. Some Protestants were concerned and sympathetic about the plight of Catholics. For example, the Butlers of Kilkenny and Lord Desart were “tolerant” of those fortunate Catholics to be their tenants. Rice saw firsthand the ever-worsening situation of people, being born to lifelong destitution, the lack of schooling, insecurity, the life-long lack of opportunity, and continuing injustice. He saw the poor boys of Waterford roaming through the streets, who were hungry, poorly dressed, dirty, without education, lacking in Faith and facing a hopeless future. This is when he developed his vision and mission to do something about the situation. He came to believe the most effective form of liberation from life-long unemployment, poverty and homelessness would be an education. His aim was to promote an education that recognised the dignity of each individual and thus he sought to liberate them from their ignorance of God and of their Catholic faith, while at the same time empowering them with an education which would enable them to rise from the demeaning poverty and sense of hopelessness in which they were trapped. Thus Edmund sought to liberate individuals and indeed to free his society from oppression. Rice knew as an experienced business person that it would be necessary to teach English as this was the language of commerce. As well as literacy and numeracy, he planned to offer vocational training so that the students would be employment ready. He also planned it to be a teaching brotherhood and he would set up a monastery for his brother teachers. This would be against the law but his timing was right because the Penal Laws were gradually being relaxed by the early 1800’s. Here the social entrepreneur needs to have the courage and fortitude to persevere in moving from his or her vision in the I Can quadrant to action in the I Do quadrant, when problems get in the way and when others tell you your vision is crazy. The social entrepreneur is prepared to take risks. Once they heard of Rice’s plans, his fellow merchants could not understand why someone so successful would leave all this behind and set out on what they called a ‘path of failure’. One of his Protestant friends, a Mr. Compton, told him he was wasting his time on such a hopeless venture. When he opened his first school in New Street he created animosity from the wealthy citizens living nearby. They objected to the dirty children coming into their neighbourhood. Rice was risking not only his money but his reputation and credibility as an astute businessman. Eventually Rice would change the worldview of his Protestant detractors and many would become supporters and in some instances join him in his mission. However there were immediate problems in New Street due to the unruly behaviour of the boys and his initial helpers deserted him. Even paid staff wouldn’t stay. He put his on money into the venture but this eventually ran out and from then there was always the challenge of raising funds to keep their fee-free schools running. He always trusted in the providence of God. He could have lived a life of luxury but he channelled all his resources into this mission. For the remainder of his life he devoted every day to service to the broken, the lost and the powerless. In the I Do quadrant, the social entrepreneur shows respect, compassion and is non-judgemental in taking direct action to address the needs of the oppressed or disadvantaged. He showed great compassion to those in need. He fed and clothed his pupils and he gave his time and money to anyone finding themselves in unfortunate or desperate circumstances. His action in opening his first school in New Street showed that his plan could work. This was achieved with little outside help. Entrepreneurs usually start with a proof of concept before they can interest investors. With initial success of his pilot school, Rice began planning the Mount Sion school in Waterford, the next phase in scaling up his program to accommodate more boys. To do this he would need to focus on community aspects. In the We Can quadrant a social entrepreneur needs to capture the hearts and minds of the oppressed to show there is a way out. They need to gather supporters, volunteers, donors, etc. to the cause. It quickly became apparent from the modest start of the school in New Street that there was a huge demand for school places. After Mount Sion was opened the news got around to families with some wealth that the quality of education and the facilities were so good that this was better than any other school. The free education offered was not a hard sell. It helps to be a good communicator. Rice had great skills in persuading followers to join in his mission and overcoming the initial scepticism that his venture would fail. His holiness and his radicalness attracted people who admired what he was doing. This resulted in attracting wealthy individuals, including Protestants and Quakers, to give their support. He very quickly gathered people around him who shared his vision. Here the social entrepreneur uses the skills, resources and creativity of supporters to move from the newly developed world view (the vision) in the We Can quadrant to the new social system in the We Do quadrant. Innovation is key. On the 1st May 1804 the boys were transferred from New Street to the new school in Mount Sion. It was immediately filled to capacity. Three hundred boys kept the four teachers fully occupied each day from nine to three. The classrooms were spacious, well lit, well ventilated and heated in winter. It was not long before additional classrooms were added to cater for the demand. Instead of being grouped by age, pupils were grouped by their level of attainment. This was revolutionary. A bakehouse at the school provided food for those who were hungry and a tailor’s workshop made suits for those without decent clothes. In doing so Rice was giving the poor a sense of self-worth. There would be no discrimination because someone was poor. A large playground was available for students – another innovation for the time. Later there would be a lending library in each school, something else unusual for the period. Another way of treating boys with respect was for the Brothers to refer to them by their Christian names. Edmond also insisted there should be no corporal punishment in the school. There was innovation in other ways. Depending on the need of the particular area, there were the day schools for students, evening schools for apprentices and night schools for adults. Rice was particularly concerned that parents needed assistance as much as their children in many instances. Overall Rice was focused on address the needs of the community where he could. The social entrepreneur needs to continue to monitor, refine and scale up the new social system and environment in the We Do quadrant – country-wide, world-wide. Edmund Rice and his Brothers delivered on their mission. It didn’t take long for the people of Waterford to see the improvement in the manners and morals of the boys. The schools were seen as models of order, discipline, and hard work. They were commented on in the most favourable terms by visitors and government inspectors, many of them Protestants. From that point on there were requests to open schools throughout Ireland and eventually to six continents around the globe. The system developed by Rice was certainly scalable. [The] schools have been of incalculable benefit; they have already impressed upon the lower classes a character which hitherto was unknown to them; and in the number of intelligent and respectable tradesmen, clerks and servants, which they have sent forth, bear the most unquestionable testimony to the public service of Edmund Rice. Rice achieved this by offering a relevant and practical curriculum for his students. As McLaughlin says, “He anticipated that such learning experiences, integrated in a Catholic spiritual environment, would nurture personal transformation in his students and provide them with the knowledge and skills to better themselves.” Once this was achieved Rice believed there would exist a solid foundation to enable a challenge and transformation of those conditions determining oppression. Rice intuitively followed the path of a business entrepreneur initally, and then as a social entrepreneur. Even though he started on his social transformation mission over 200 years ago, he is a great model for social entrepreneurs of today. They are sorely needed. 1. Brian Grenier. Edmund Rice (1762 – 1844), Edmund Rice Oceania, Web: http://www.edmundrice.org.au/oldsite/about-us/blessed-edmund-rice. 2. Denis McLaughlin, “The Founding of the Irish Christian Brothers: Navigating the Realities through the Myths,” Australian eJournal of Theology 5 (August 2005). 5. Patrick B. Jacob, Edmund Ignatius Rice (Dublin: Irish Messenger, 1979). 6. Roger L. Martin & Sally Osberg, “Social Entrepreneurship: The Case for Definition,” Stanford Social Innovation Review (Spring 2007). 8. Martin & Osberg, “Social Entrepreneurship: The Case for Definition”. 9. R.H. Ryland, The History, Topography and Antiquities of the County and City of Waterford (London: John Murray, 1824), 383. Available at the Open Library, it includes a detailed description of peasant life in Ireland. 11. Edmund Rice Global Network, “The Life of Edmund Rice”. 12. Martin & Osberg, “Social Entrepreneurship: The Case for Definition”. 13. Jacob, Edmund Ignatius Rice. 14. Martin & Osberg, “Social Entrepreneurship: The Case for Definition”. 16. R.H. Ryland, The History, Topography and Antiquities of the County and City of Waterford, 187. Posted in can-do wisdom, social entrepreneur and tagged changemaker, Christian Brothers, Edmund Rice, leadership, social entrepreneur, social entrepreneurship, Waterford. Great article Adrian! Your links between social entrepreneurship in the 18th century and your Can-Do Wisdom model are vividly explained, proving that your model is timeless. Thanks Joe for pointing out the missing word. It’s probably not the only error in my posts. It really does need someone other than myself to pick them up as I just couldn’t see the error. Back on the framework, yes it is timeless. It can be applied to the first multicellular organisms that appeared some 2.1 billion years ago.